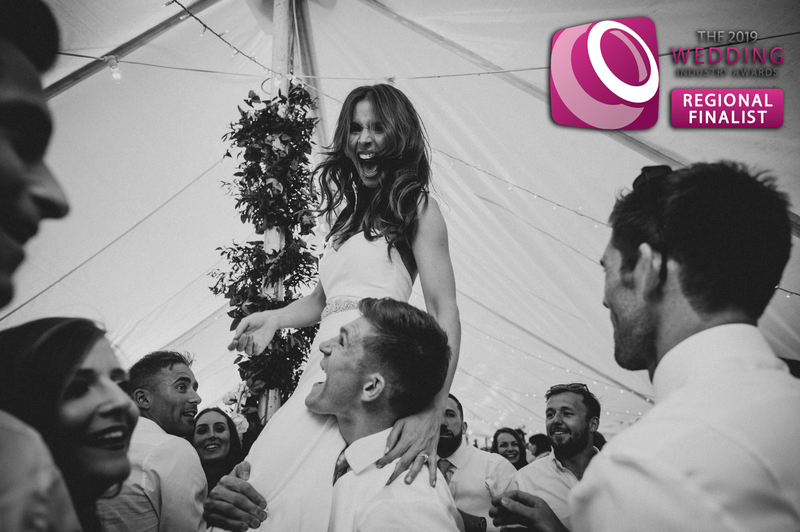 The Wedding Industry Awards recognise talented people throughout the industry and give them epic little trophies to take home when they do good. It’s a lovely pat on the back and one day I might win one! Till then, it’s nice to be recognised as a finalist in a super competitive business and know that all of my couples were happy with what I dished up for their weddings. The feedback you receive is pretty darn special but also serves as a means for improvement, except, ahem, none of my couples gave me anything to improve on so…I’ll just make myself a cuppa shall I?! Seriously though, it’s very humbling and last year was especially tough. I have a lot I want to work on personally and I will continue to try and improve year on year, upping my game, delivering more and hopefully witnessing a shitload more smiles. This time my own. Here are a few of my favourite snippets of the lovely stuff people said…you read while I hide and be a bit shy.